Gen Panya receives one of many bouquets in gratitude over the crackdown on taxi mafia. Phuket: -- Honorary consuls and tourism business owners this afternoon deluged the Commissioner of Police Region 8, Lt Gen Panya Mamen with flowers, in thanks for the action taken by him and his men against illegal taxis over the past few days. The flood of flowers came as Gen Panya prepared for a press conference to give an update on progress so far. 96 people of 108 who are subject to arrest warrants are in custody. 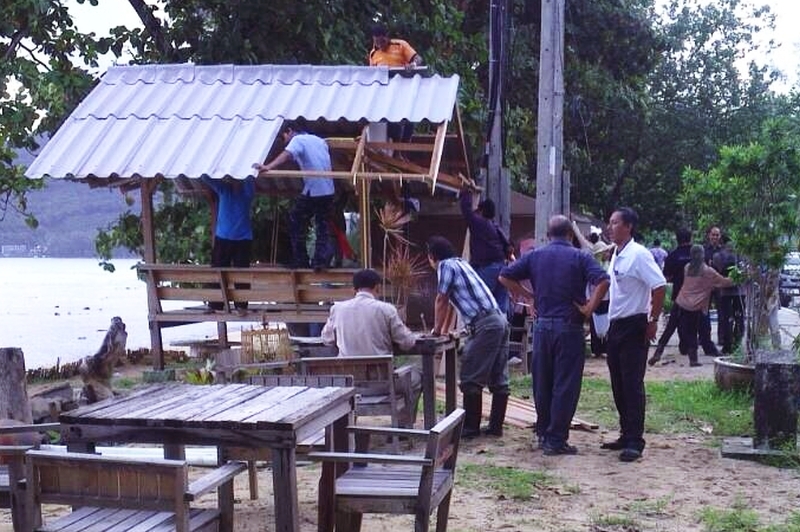 79 taxi stands built on public land have been demolished in the areas of responsibility of Kathu, Chalong, Tah Chat Chai, Cherng Talay, Kamala and Vichit police stations. Investigations continue to identify stands that should be demolished in areas overseen by Thalang and Phuket City police stations. Just one area was found to be “clean”: the area looked after by Tung Tong police station contained no illegal taxi stands. Gen Panya said that the Region 8 task force had received good cooperation from local authorities, and the witness protection scheme was working well, with no witnesses threatened. He added that all the cases are expected to be handed over to the Public Prosecutor by next Sunday (June 15). He also gave an update of action against leaders of mobs who have blocked roads in recent months. 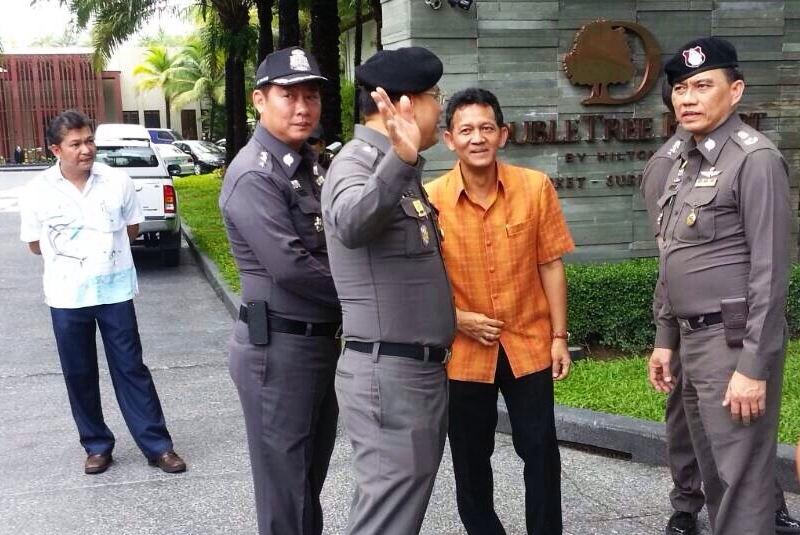 One person has been arrested for leading the mob that jammed the streets of Patong on March 4, he said. Police are waiting for an arrest warrant to be issued for one more person, and are gathering evidence they expect will lead to warrants for ar least another three. Three people have been arrested for the worst blockade, on April 8 when villagers in Mai Khao blockaded Thepkrasattri Rd, the island’s north-south artery, resulting in 10-kilometre traffic jams in both directions. Police are waiting for seven more warrants and expect to apply for a further six, for a total of 16 people to be arrested as leaders of the blockade. Finally, three people have already surrendered over the one-hour blockade of Chao Fa West Rd on April 27. Police expect to apply for two more warrants.